James Lancelot is Master of the Choristers and Organist of Durham Cathedral, a position he has held since 1985. Prior to this he was successively a Chorister of St Paul’s Cathedral, Organ Scholar of King’s College, Cambridge and Sub-Organist of Winchester Cathedral. He studied with Ralph Downes, Gillian Weir and Nicholas Danby. At Durham he takes responsibility for the cathedral’s musical ministry, at whose heart are the services sung daily by the Cathedral Choir. During his tenure the choir has maintained its reputation as one of Britain’s leading cathedral choirs. He has taken them on overseas tour on nine occasions; and with them he has worked with several orchestras including Northern Sinfonia and (for two live broadcasts of Choral Evensong, in 2002 and 2007) the BBC Philharmonic. The choir has recorded on many occasions both for Priory and privately for Durham Cathedral Choir Association; it tours regularly (twice in 2011), and has made numerous broadcasts. James has headed up the recruitment and training of the Cathedral’s new team of twenty girl Choristers, who were admitted to the Cathedral Choir in November 2009; he also takes overall responsibility for the cathedral’s second choir, Durham Cathedral Consort of Singers. 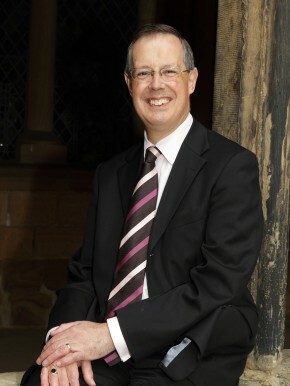 In addition, he is Durham University Organist and Conductor of Durham University Choral Society; in 2002 he became a Lay Canon of Durham Cathedral and received Honorary Fellowship of the Guild of Church Musicians, and in 2006 he was appointed a Fellow of St Chad’s College, Durham. He received Honorary Fellowship of the Royal School of Church Music in 2008. In addition to his work at the cathedral, James Lancelot pursues an active recital career both in Britain and abroad. He has visited New Zealand, Holland, Belgium, Poland, Germany, Denmark, the USA, France, Russia, Norway and Sweden as well as giving recitals in almost all British cathedrals and many town halls. His DVD recording of Elgar’s Organ Sonata, undertaken in conjunction with the Durham Media Academy and the Elgar Birthplace Trust, has been received with acclaim; his latest recording, of Mendelssohn’s Organ Sonatas, was released in March.